View A.J. LeBlanc Heating's Generator Installations. 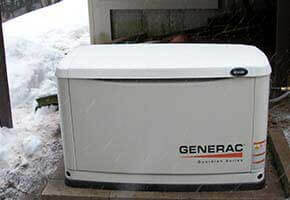 Portable generators are great for homeowners who do not require multiple circuits. 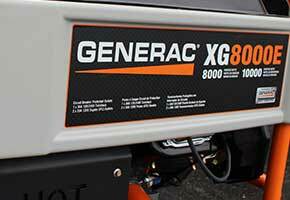 Portable generators typically run off gasoline, diesel or a mixture of both. 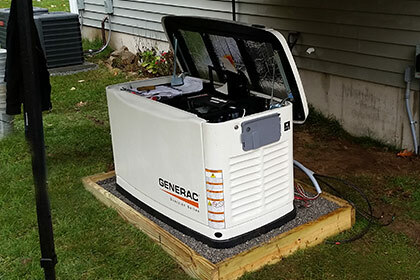 Homeowners use portable generators to power their most essential lighting and appliances. These systems usually provide electricity to furnaces, refrigerators and lighting circuits. LeBlanc Heating installs electrical circuits for all brands of portable generators. 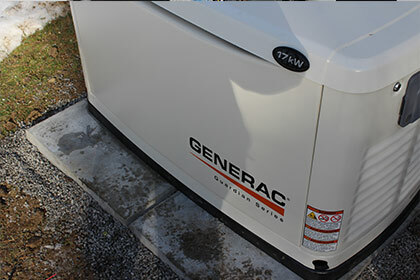 Standby generators are fueled by liquid petroleum gas (LPG) or natural gas. LeBlanc Heating will discuss fuel options with you when you schedule a free estimate. Generally fuel types are dependent upon the availability in the area of the installation. A.J. LeBlanc Heating employs NH certified gas fitters ensuring the safety of all of our gas generator installations. 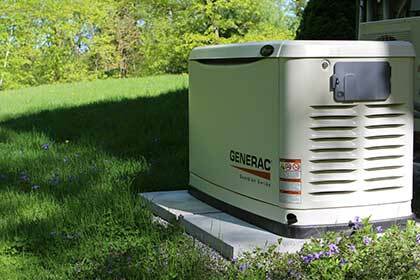 A standby generator is a back-up electrical system that operates automatically. Within seconds of a utility outage an automatic transfer switch senses the power loss, and then transfers the electrical load to the generator. The standby generator begins supplying power to the circuits. After utility power returns, the automatic transfer switch transfers the electrical load back to the utility and signals the standby generator to shut off. LeBlanc Heating installs both portable and standby generators. A.J. 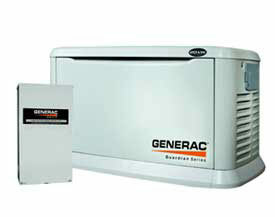 LeBlanc Heating sells both Generac and Kohler standby generators. A.J. LeBlanc Heating is able to install all generator brands should a homeowner have a preference, otherwise our sales staff will be happy to suggest a brand which is right for you. A.J. LeBlanc Heating pulls both electrical and gas piping permits for all generator installations. 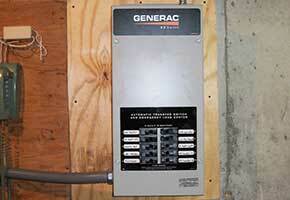 Our electricians perform a load calculation on every home guaranteeing safe generator operation. Our attention to safety and pride in our workmanship will ensure your piece of mind. Call LeBlanc Heating today to get a free estimate on a standby generator or portable generator hookup. A list of our generator services performed can be found below.